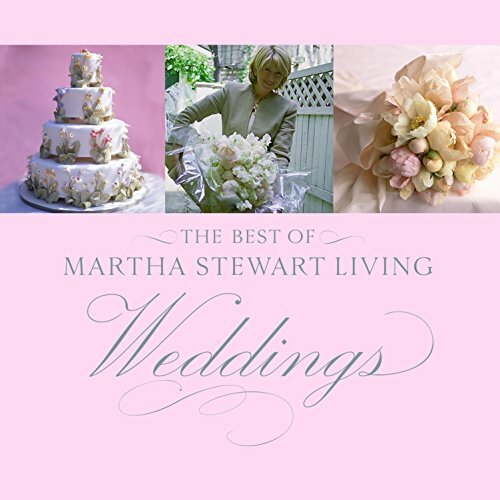 The maven of all things tasteful, Martha Stewart has impeccable style when it comes to weddings, and The Best of Martha Stewart Living: Weddings compiles the finest ideas from the magazine of the same name. The book is designed to provide inspiration for the big day, whether it is for the ceremony or the reception. Wedding apparel isn't covered, but all of the other significant parts of the wedding are: ceremony and reception decorating, bouquets and boutonnieres, wedding cakes, favors, guest books, music--even storage and display of photographs and other memorabilia after the wedding. Stewart encourages readers to use the book's ideas as inspiration for wedding elements unique to the bride and groom, and to avoid simply incorporating the book's ideas into their wedding day. She emphasizes that a wedding should reflect the couple's personality and wishes, as well as any customs they choose to follow. There are few rules of etiquette à la Emily Post. Instead, the book provides historical explanations of common wedding traditions, then gives examples of variations on that tradition that couples have decided to use in their weddings. Stylishly arranged color photographs of the bouquets, wedding cakes, reception decorations, table settings, party favors, and more bring the ideas to life; instructions for reproducing them are often provided.